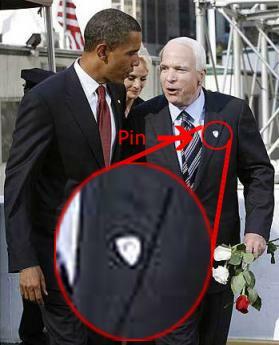 Maybe **QQ**Songbird**QQ** lost his pin while he was placing flowers on the remains of the 911 victims at the **QQ**Dump**QQ**,where guiliani **QQ**DUMPED**QQ** them. Did either of these wonderful candidates even go to the **QQ**Dump**QQ**?.NO! They never thought of going...PS. Is said **QQ**Dump**QQ** in China now,along with **QQ**Evidence**QQ**?